Many people know of the book A Dairy of Anne Frank, written by a young girl during World War II but many people don’t realize that the Diary was written in the heart of Amsterdam. The city of Amsterdam is where she and her family hid for two years in a secret annex during the war. 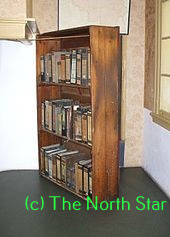 Today it is still set up just the way it was while they were in hiding and it has the added bonus of being home to the original Diary of Anne Frank. As you can imagine this site is extremely touristy, so to get in we had to stand in line for three whole hours. But the second you step through that hidden doorway behind the book shelf you are transported back in time, back to days when Nazi soldiers roamed the streets below and the families in hiding held their breath out of fear of being found out. Each room tells a different story of what life in hiding was like. From the shared bedrooms to the bathroom which couldn’t be used during the day in case someone down below was to hear the water running and realize that people were being hidden there. Not far from the Anne Frank House there is another museum that is lesser known of called the Dutch Resistance Museum. The Dutch pride themselves on their open-minded values so when Germany invaded them in World War II they fought them every step of the way. From hiding many Jewish families to smuggling them out of the country, many Dutch citizens put their lives on the line to help out the families that need it. They also organized many protests which were carried out even when their safety was threatened. These protests were always deemed illegal and therefore punishable by law but they got around that by simply telling the police that they hadn’t participated in them. Although the Dutch resisted the Germans, they still felt as though they could have and should have done more to protect their Jewish citizens throughout the war and in 2010 the Dutch Government went as far as to formally apologize to all of its Jewish citizens for not protecting them better. Amsterdam has so many bright and cheerful places, from the palace of Amsterdam to the I Am Amsterdam that tourists flock to like birds but there is forever a dark spot left on that city. 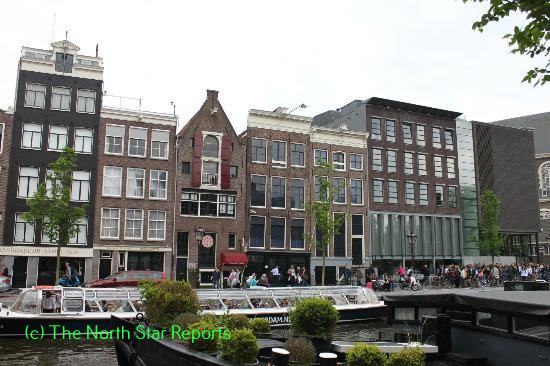 The Anne Frank House and the Dutch Resistance Museum serve as a reminder of the devastation of World War II on the people of the Netherlands. Both museums tell a story about World War II, but they tell the story in two very different ways. One museum tells the story through the eyes of a young Jewish girl and the other tells the story through the many voices of the Dutch citizens, both Jewish and non-Jewish, that lived through those dark years. Amsterdam doesn’t hide its history, it boasts it so that it is remembered. Victoria, you are so fortunate to have experienced these amazing historical sites in Amsterdam! Societal progress within history can be seen through many different outlooks: political climate, economy, social justice, etc,. Amsterdam, alongside many other European cities in particular, have embraced progress lately through a very interesting medium, through failure. It was very inspiring to read that even after all the help Dutch civilians tried to provide for their Jewish brothers and sisters, in 2010 the Dutch Government apologized for not doing a better job at protecting them better. This piece reminded me of a museum in Norway that was inspired by many inventions that are known for their failures. These two instances represent, to me, a society that is finding progress by learning from the mistakes that we make to built a life, a dream, a future that is stronger than its past. This can be reflected upon the history of our own lives. If we were to have a museum dedicated to ourselves, what would you want in it? And are these materialistic ideas or fundamental principles that outline the history of our core person-hood? It is astounding how much history one city can hold. In my travels to the UK I came across a number of museums with large exhibits dedicated to the Holocaust (most of which we were not allowed to take pictures in for obvious reasons). The most impactful exhibition I saw was at the Imperial War Museum in London. They had a large space dedicated to belongings confiscated from people in concentration camps – I couldn’t tell you how many pairs of shoes I saw lined up. I was struck by my own emotionality when I saw them all. I imagine that being in the Anne Frank house would bear similar emotionality. I envy your experience at these museums, and can’t wait to see them for myself. What an amazing article! I haven’t really had a chance to study Amsterdam but I have looked into the Diary of Anne Frank throughout my years as a student. It is so cool to hear your first hand experience and share it with us. I think this storytelling is one way to keep the people talking and make sure no one forgets. Although there is physical evidence of World War II and Anne Frank’s house and the Dutch Resistance Museum, it is extremely important to continue telling the stories. Physical things can be destroyed and lost forever, but word of mouth will stay as long as we keep speaking. I hope that I get to travel to Amsterdam someday and see these historical places first-hand and tell my own story just like you so greatly told us. Hi Victoria, seeing this article immediately made me reflect on the awesome experience I had in Amsterdam last summer! I think it is great that you discussed the historical darkness that comes with WWII and the way that the Dutch were impacted by the Nazi occupation. People need to remember these aspects of history so that we can do our best to never repeat them in the future. With that being said, I remember visiting the Anne Frank museum last summer and it was definitely an eye-opening experience. 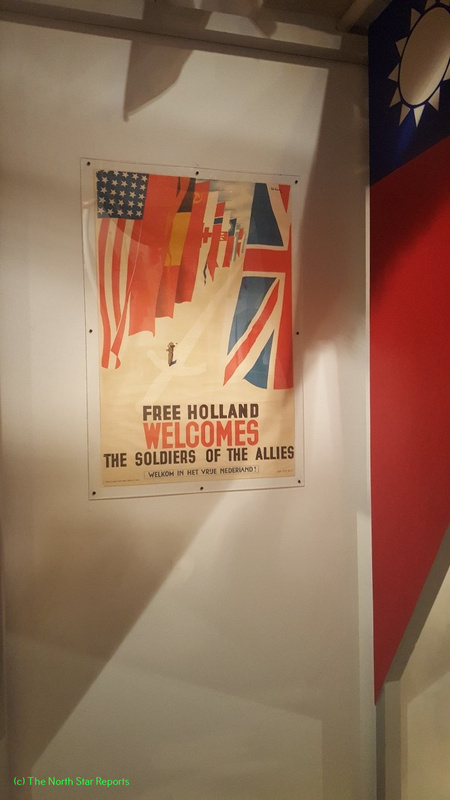 As you mentioned, the Dutch Resistance Museum was a place that was less well known than the Anne Frank Museum, and I wish this was a place that myself and my classmates had visited last summer while we were abroad in Amsterdam. I hope that your future travels can provide you additional historical perspective. Another great article! I would love to be able to go to the museums you went to. I am extremely amazed by how insightful your experience in both the Anne Frank House and the Dutch Resistance Museum was. I have always wanted to go to the Frank’s house, especially since the college’s theater performed the play last fall and worked on doing the set for the play. I really liked what you said about the Dutch and their pride to be both open-minded and also fight the German’s in their invasion every step of the way. I honestly had no idea that “in 2010 the Dutch Government went as far as to formally apologize to all of its Jewish citizens for not protecting them better” something that I believe is extremely noble. I really like how both museums show different perspectives of World War II as there is always more than one side to each story. Thanks for sharing! Since reading The Diary of Anne Frank in middle school, I have always wanted to visit the Anne Frank museum but have never had the opportunity. I’m sure it was not fun to wait 3 hours in line, but I’m glad people are still going to museums like this because it serves as an important reminder. I am sad that I have never heard of the Dutch Resistance Museum because it seems like such an amazing place to experience. Also, I did not know that the Dutch government apologized to its citizens, but I find that very interesting and respectable. I hope I can make it to Amsterdam some day and experience these museums. This article really got my attention about the fascinating history of Amsterdam and its unique role it played during the Second World War. World War 2 was the most devastating conflict in human history and and millions of people lived in fear as the Nazi’s conquered Europe. Across Europe, Jews and other groups of people deemed as unhuman by the Nazi’s were targeted and sent to concentration camps. Anne Frank and the Dutch resistance is remembered in these amazing museums and shows how terrifying the world was during that time. It really makes me appreciate that the city of Amsterdam does not forget by having these two museums available to the public. Amsterdam is a city which makes sure that the amount of human suffering and fear experienced by those individuals will not be forgotten to history. This was one of my favorite pieces of academic reading that I have read. I very much enjoy history and hearing your account of what you learned about Amsterdam kept me extremely engaged. I did not know that Anne Frank had written her diary in the middle of Amsterdam and also that the Dutch helped the Jewish at any opportunity available. I have a new found respect for Amsterdam as a whole for putting their history on display so that it is never forgotten. Many countries chose not to expose their dark past but I commend the Dutch for teaching their citizens not to make the same mistakes. I’ve always had an affinity for the history of WWll so I knew instantly that I had to read your article. My sister just recently took a trip to Amsterdam and also visited the Anne Frank house and told me all about it. It’s so crazy to me to think of what these people had to endure day in and day out just to simply survive. I think a lot of people nowadays don’t understand the extent of what they had to go through just because that time period seems so far removed. It’s also very inspiring to hear that these Dutch people still protested during these times even though their life was on the line. I think this still happens today, even if it may be to a lesser extent. I also think it’s important that the Dutch choose to remember the positives of the awful past that they had to endure. Thanks for sharing! I think while traveling it is common to find yourself drawn to places and events that are meant only for entertainment. I want to thank you for sharing your thoughts and experiences from your visits to these two museums! When I go abroad I would like to visit places of historical importance as well. 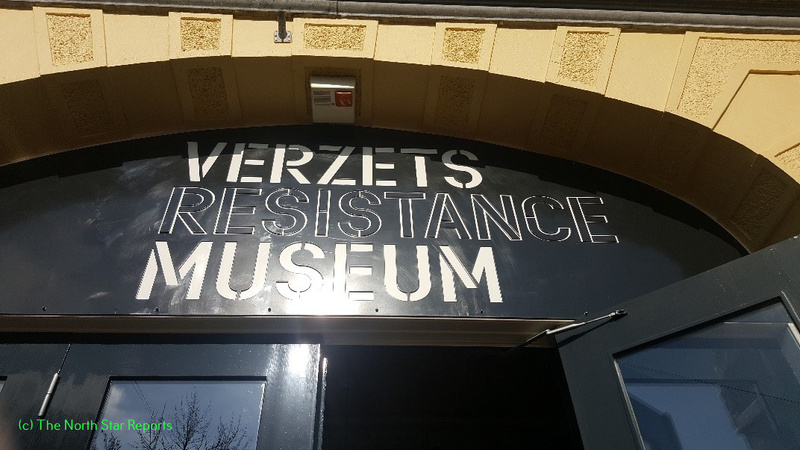 I find myself really drawn to the name of the Dutch Resistance Museum! It’s amazing that there was an apology issued to Jewish citizens on behalf of the Dutch government. Thank you for the opportunity to read about your travel experience! Amsterdam sounds like an amazing place to travel to! It must have been so interesting and mind-boggling to tour Anne Frank’s secret annex and I’m sure it really put into perspective what many families like hers went through! World War II was definitely a dark time in recent European history, and I think that it’s a really good thing that Amsterdam still honors those who lost their lives by sharing the history of what had happened there. It’s almost heartwarming that the Dutch apologized for not doing more to resist Nazi forces in WWII. It really shows the strong morality and the humanity seeded in the Dutch culture. Hello Victoria, thank you for sharing your experience from traveling in the Netherlands. Growing up I had three soccer coaches who were from Holland, and from them I learned to sign “Happy Birthday” in Dutch. On a more serious note, captivating to read about how the nation has embraced their ancestors who ensured the protection of the Jewish people in their nation and resisted occupation by the Nazis. I have never read the book, Diary of Anne Frank, but I think it is a read I will have to pick up. It is truly amazing to walk on historic grounds and contemplate the events that took place in a certain place. I had this experience as I was traveling around Virginia and Maryland this past summer; I had the opportunity to visit Mt. Vernon and a few other historic sights. The one part that stuck out the most to me was that the Dutch government apologized to its Jewish citizens for not protecting them better. It just left me with chills, because the fact that they did anything to help the Jews at the time, was something that made them different then a lot of other countries that were taken over by the Germans. It is also something that i have never heard about and i feel like that is something that should be talked about more. I did not know that Anna’s hiding spot was open to the public so that is now something that is on my wish list for things i need to do in the future. I just think the history that the European cities carry is something that is the same for them all but also the war affected each city differently so its cool to see how each responded to the struggle that they went through. I really enjoyed your post and hearing about the trip to Amsterdam. It is one of the places that I have had a family member have the opportunity to go and I have heard so many great things about the country. For me, I also had not realized how historic it was due to the World Wars. I remember reading the Diary of Anne Frank but it just did not click that it occurred in Amsterdam. I am glad you had the opportunity to see such a world famous sight. I really enjoy history so I will have to do some looking and possibly visit someday! We just have to realize that all of Europe was hit by the World Wars and every country has a different story to tell. We have to keep that in mind when learning about countries because each had a different situation in the wars. I really thought that this was an interesting article especially because I didn’t realize Anne Frank’s house was in Amsterdam. It was interesting how you talk about the Dutch people being so open-minded and resisting the Nazis in different ways like hiding Jewish families. This is still prevalent today with the Dutch’s values on personal liberties and choices that isn’t always seen in the modern world. I also thought that it is interesting on how the Dutch government apologized for not protecting its Jewish citizens better, but they did so much more than many different people throughout Europe. This sense of resistance and stubbornness is a unique trait that these Dutch people shared which contributes to their national identities. thank you for sharing your experience, Victoria. I was not aware of how invested the Dutch were in resisting Nazi control during world war II. I can’t imagine how powerful it must have been to step foot in the annex where Anne Frank and her family hid. The contrast between Amsterdam’s involvement in aiding Jewish citizens during the War and how the U.S. interacted with those seeking asylum is disturbing, in all honesty. Amsterdam apologizing to the Jewish community for not being able to do more while under German occupation vs the U.S. turning away ships of refugees seeking asylum is dumbfounding to think about. I’m glad we have such well documented pieces of history to remind us of what happens when we fail to act with compassion and caring. Hello thank you for sharing this post. I personally have never been to Amsterdam but its somewhere that i’ve always wanted to travel too. When i think about that place, like you said the history is not what we usually here about it but more towards the red light district stuff. Reading your post has made me want to go visit Amsterdam a lot more now. Its very interesting to know Anne franks house is there which i did not know. Growing up we learnt a lot about her growing up and the story of her life. As I love to travel and go to places with lots of history i can’t wait to go there now and learn more about what that city has to offer. I immediately had to read your article on Amsterdam, as it has been 9 years since I have traveled there. I still feel the large impact the culture and visiting the historic sites such as Anne Frank’s diary and the secret annex were. Anne Frank’s story is still so impactful today as she brought so showed and wrote about so much hope, joy, and courage despite what was occurring at the time. The belief the Nazi’s held and the act of ridding the world of those they deem lesser is still horrifying. Some of the beliefs of a better species remind me of something out of “Worlds Together, Worlds Apart” by Tignor et al. (2018). Although it is a much lesser scale than the movement Adolf Hitler and the Nazi’s believed in it seems there were early civilizations that also deemed themselves higher or better than those surrounding them. When looking at the Han Dynasty there was an elite population referred to as the Han Chinese. Tignor et al. explain how they shared a common written language and belief from Confucianism. However this elite belief system of ancient worship, rituals and practices for each social level, and other views left this population to believe anyone who was not following the Han beliefs were uncivilized (p.238, 2018). Again this is a far less severe discrimination of culture, however it is interesting to me that there is such strong beliefs and group bias even in the beginning cultures of our world. It would be interesting to see what our world would truly be like if we were rid of biases and discrimination against our differences as human beings.